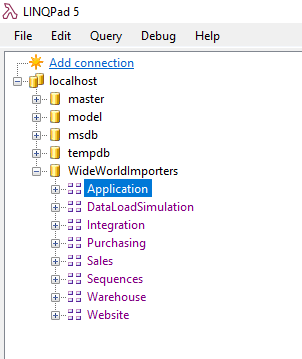 What is the capability/feature in LINQPad that imposes structure to the tables, grouping them under "Application", "DataLoadSimulation", etc, as shown? It's grouping them by schema. 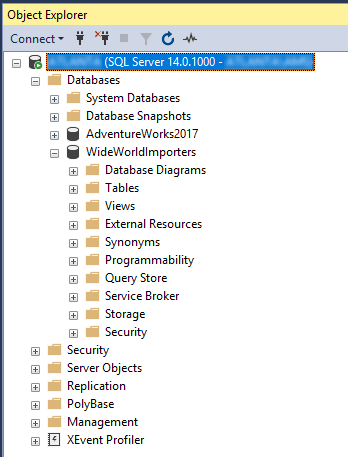 If you expand the "Tables" node in SSMS, you'll see something similar, except that it expands all of the schemas at once and prefixes each of the tables by the schema name.